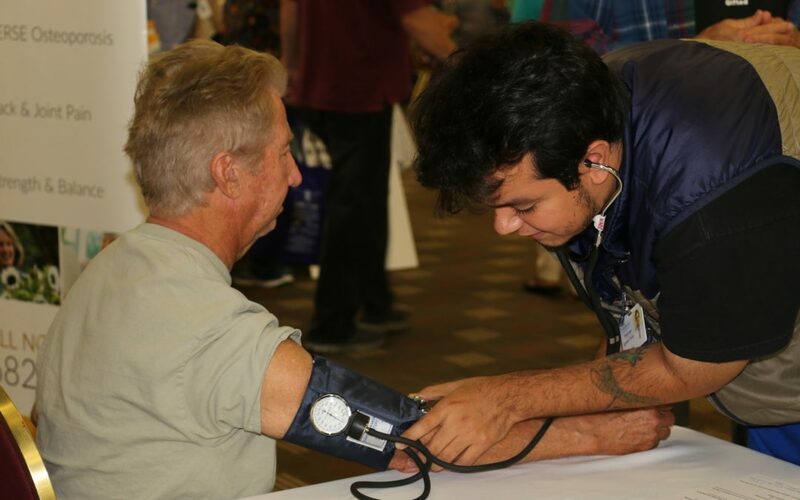 Seniors and caregivers looking for one central place to get information about products and services to stay healthy and active will find it all at the Senior Expo of Santa Barbara, Wednesday October 3, 2018 from 9 a.m. to noon at Earl Warren Showgrounds. In its 30th year, the Senior Expo expects to draw over 1,000 seniors, family members, and caregivers seeking a convenient and fun way to discover the plethora of resources for seniors in our community. Attendees can get answers to their questions about everything from financial and insurance services to housing, home care, healthcare, activities, and volunteer opportunities. A $5 admission provides access to 100+ exhibitions, $300 in free health screenings, fitness activities, and nutritional demonstrations in the new “Get Fresh!” exhibits. Those 55 and older can also receive a free flu shot donated by Sansum Clinic. Other popular features of the Expo include prize drawings, onsite voter registration, police ID cards, and a Caregiver’s Café, offering counseling and support for those caring for elderly friends and family members. There is something for everyone at the Expo! Visit SeniorExpoSB.com or call (855) 247-9355 for more details. Senior Expo is organized by Family Service Agency and made possible through sponsorship of local businesses and nonprofit agencies. The 2018 Platinum-level sponsors include Family Service Agency, Sansum Clinic, Cottage Health, and Visiting Nurse & Hospice Care. Gold-level sponsors are Sharon Kennedy Estate Management and Stevens & Associates Insurance; and Silver-level sponsors are Anacapa Estate Planning & Elder Law; Berkshire Hathaway Home, Terri Dimond, Senior Specialist; CenCal Health; Easy Lift Transportation; Home Care Assistance; Hospice of Santa Barbara; Mariposa at Ellwood Shores; The Oak Cottage of Santa Barbara; Santa Barbara County Adult & Aging Network; Senior Programs of Santa Barbara and Union Bank.